The first Formula One Championship was back in 1950, but originated from the Grand Prix motor racing of the 20’s and 30’s. 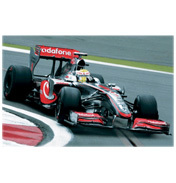 The term ‘formula’ is a series of regulations enforced by the FIA that all the cars must meet. These rules cover every aspect of the race, from car design and set-up to the race procedure and penalties. One of the leading teams in F1 today is McLaren, with its striking silver and red paint job it is hard not to notice these cars on the grid. Driven by Lewis Hamilton and Jenson Button this is the only team that currently uses british drivers for both cars. In his first year of F1 Hamilton came second in the championship, but won the title the following year. There are some great replicas in the Scalextric 2011 range, including some fantastic cars from the previous season. 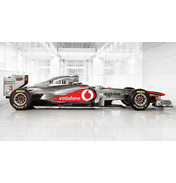 The two most popular would have to be the Vodafone McLaren Mercedes. (Model numbers C3043 and C3046). Another favorite is Schumacher’s Mercedes GP.